Exhibition and Film at The Lloyds Hotel 15th to 24th May including. Book Launch 7.30pm at The Lloyds Hotel 16th May. starts 1.00pm 17th and 24th May. 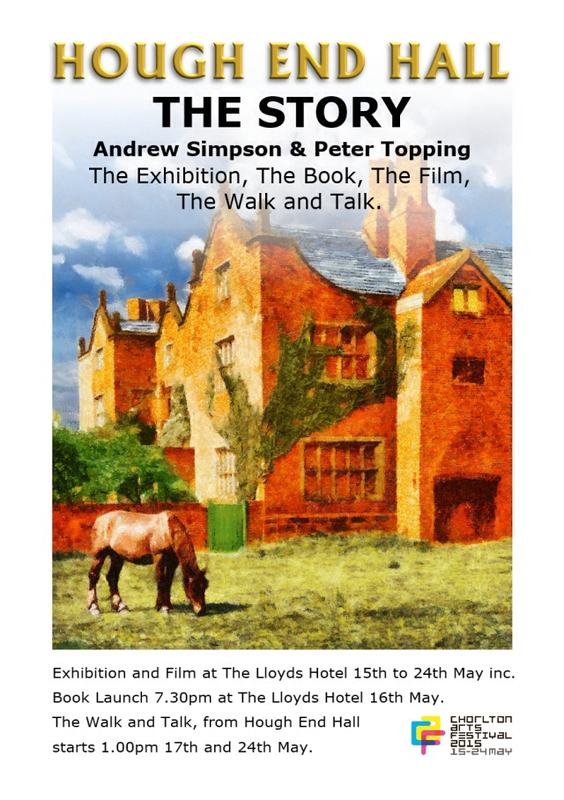 This entry was posted in Events, History and tagged Andrew Simpson, Book launch, history, Hough End Hall, Hough End Hall The Story, Peter Topping by houghendhall. Bookmark the permalink. Let us know if you have difficulty.